Another delight-filled 100-Page Spectacular, this one revolving around the Marvel Family. 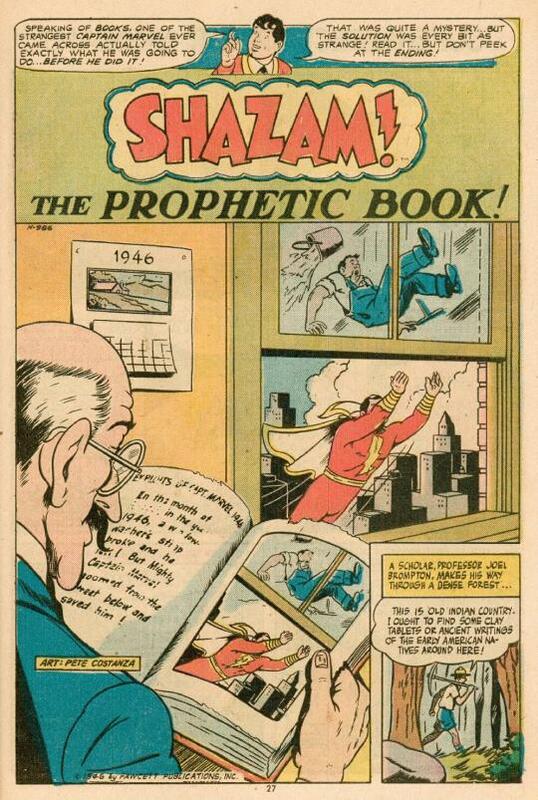 I’m guessing that it was the package more than anything that made me pick this up, as I wasn’t a huge SHAZAM fan. Then again, like the earlier Treasury Edition, this book was filled with classic Captain Marvel reprints from the Golden Age, A.K.A. the good stuff. 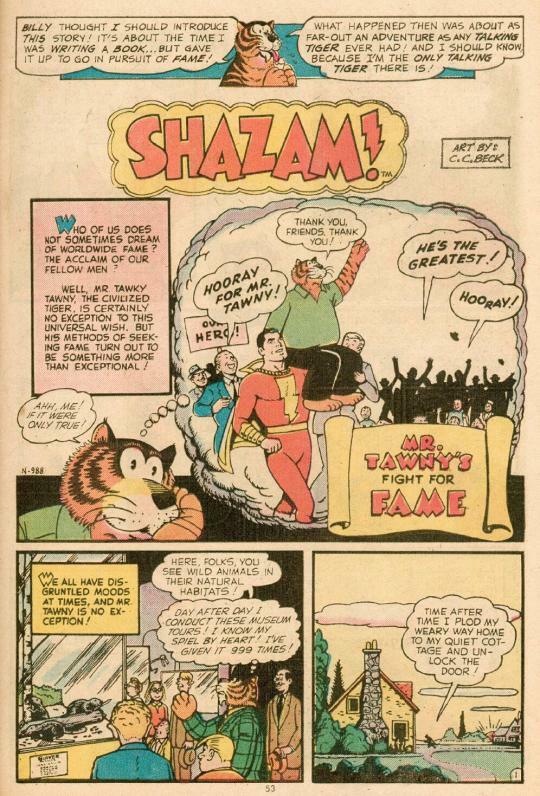 The kickoff story trades on the reputation of the classic and long-running Captain Marvel serial “the Monster Society of Evil”, though I wasn’t familiar with it at the time. 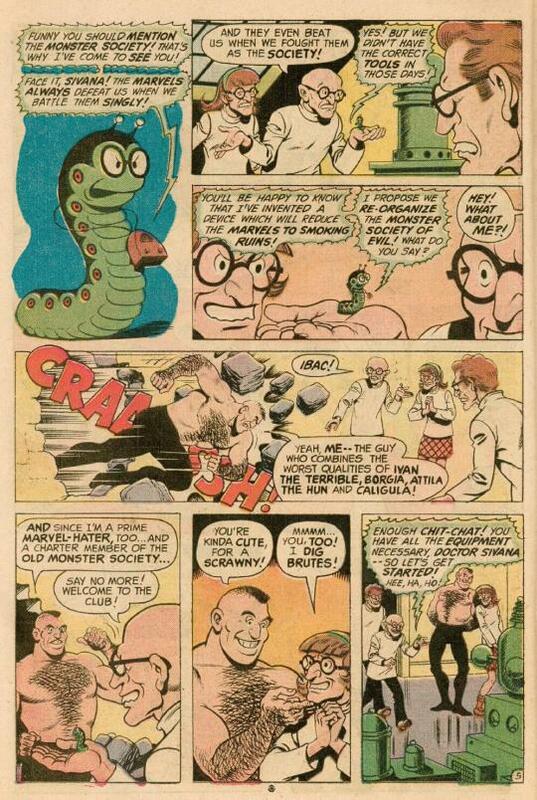 It also reintroduces Uncle Marvel, who is treated pretty abominably by writer Denny O’Neil. 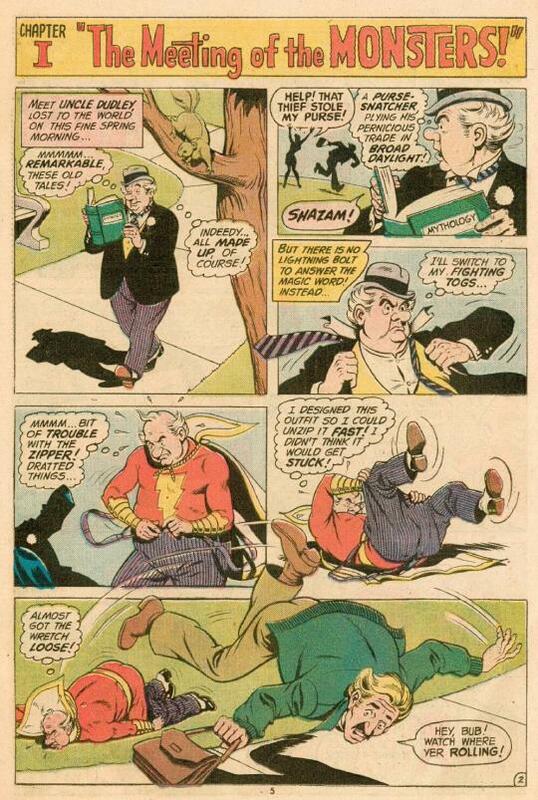 Rather than being a charming if ineffective fraud in a Marvel costume who nonetheless often holds the key to success, here Dudley is played as an old, overweight buffoon. 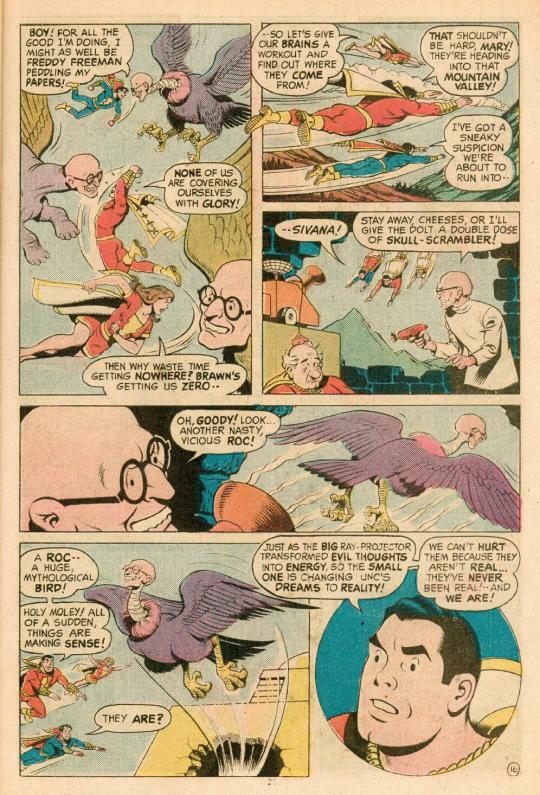 The story really begins when Mister Mind reappears, offering an alliance to Sivana and his brood. Also attending this meting is IBAC, who was sort of a Captain Marvel of evil. But Denny can’t seem to take these characters seriously, and so they get turned into dopey cartoon villains–there are no stakes to speak of. And, in fact, IBAC and Mind are disposed of in just a couple of pages. Sivana escapes, taking Uncle Marvel with him. Dudley had been reading a book of mythology, and so Sivana contrives to use his unconscious mind and his own dream materializer to create monstrous versions of himself and his family that the Marvels won’t be able to cope with. 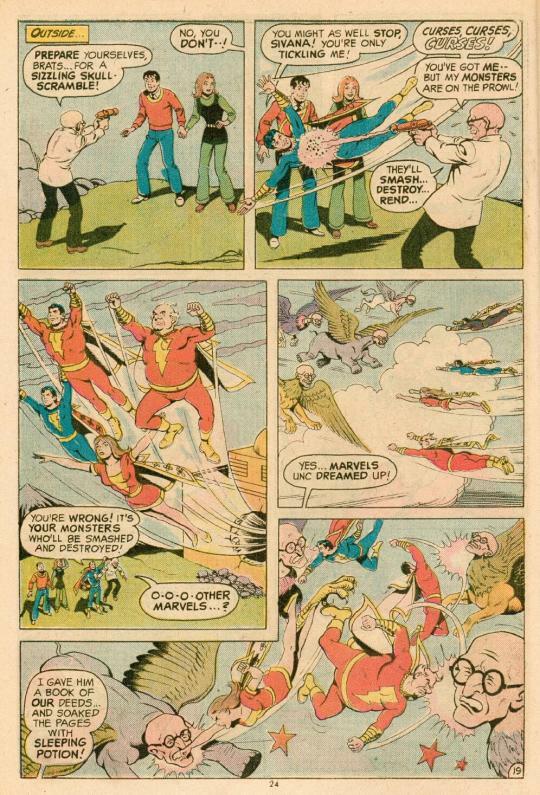 The solution, of course, is to get Uncle Marvel to dream about the Marvel family. 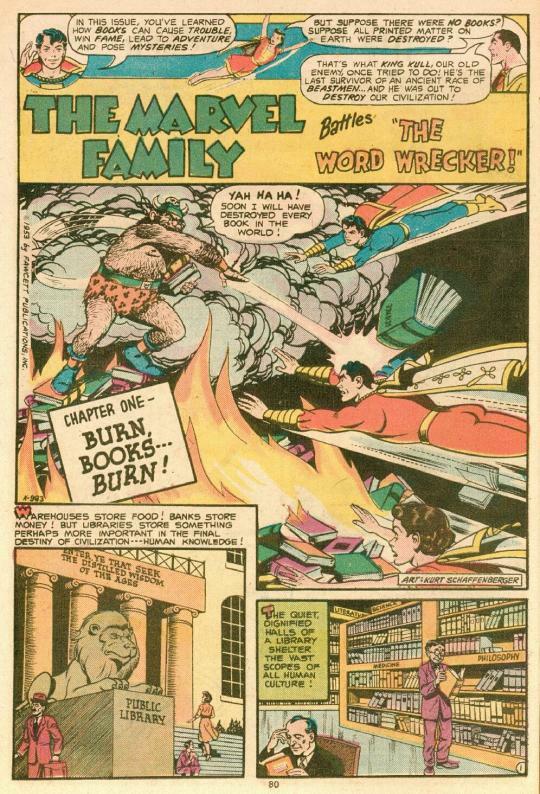 Playing a ruse of submission with Sivana, Junior is able to switch books on Dudley, who is now reading an account of the Marvel Family’s famous feats. 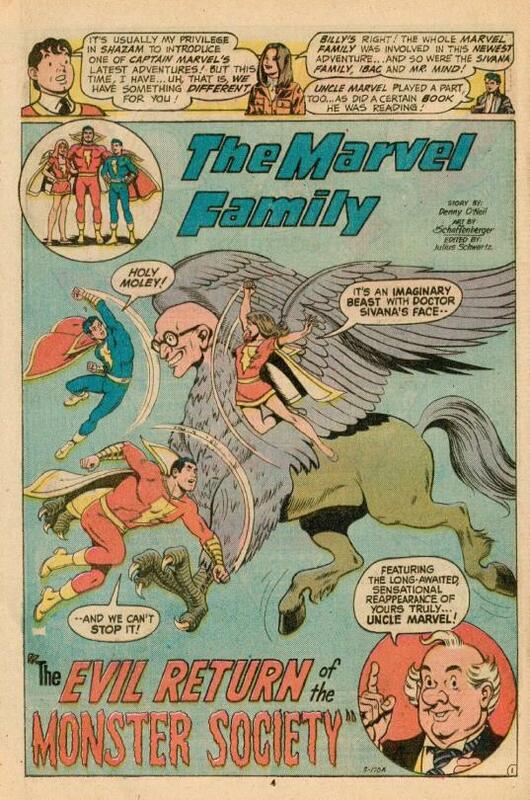 A dream Marvel Family appears and takes care of the creatures, and everything wraps up without an ounce of jeopardy. So, yeah, not such a great opening to the issue, and a good example of the misfire that was this revival of Captain Marvel. Most of the folks working on it couldn’t invest in the particular fantasy of its universe, and so instead they did dopey and childish things, thinking they were channeling the spirit of the original. But stories like this one embarrassed me to be reading, and I was only seven years old at the time. Fortunately, the remainder of the issue contained the real stuff, and it was way better. First up, the story of a man who winds up with a history book from the year 1977, and which predicts the future. Through a number of clever scenarios, Captain Marvel has to protect him and the world from jeopardy as a result of his predictions. Following that, there was a classic Junior story about a history buff who gains the power to travel through time. The wrap-up to the issue is a long three-part Marvel Family saga in which they contend with King Kull, the barbarian warlord from the center of the Earth. Kull intends to destroy human civilization, and in this story his plan is to do so by destroying knowledge in the form of the written world. In other words, he’s trying to burn books. It’s pretty great. 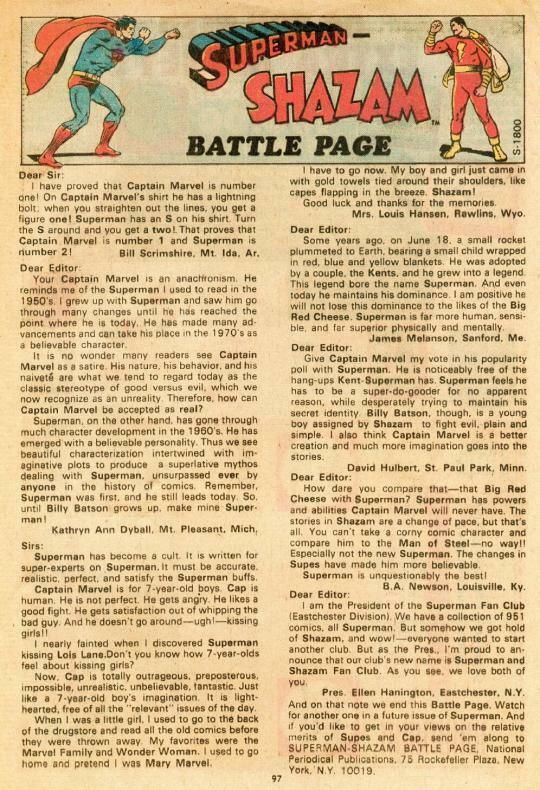 Finally, the issue closes with another Superman-Shazam battle page letter column. Julie Schwartz was pushing this rivalry for all he was worth, but it wasn’t really catching on. 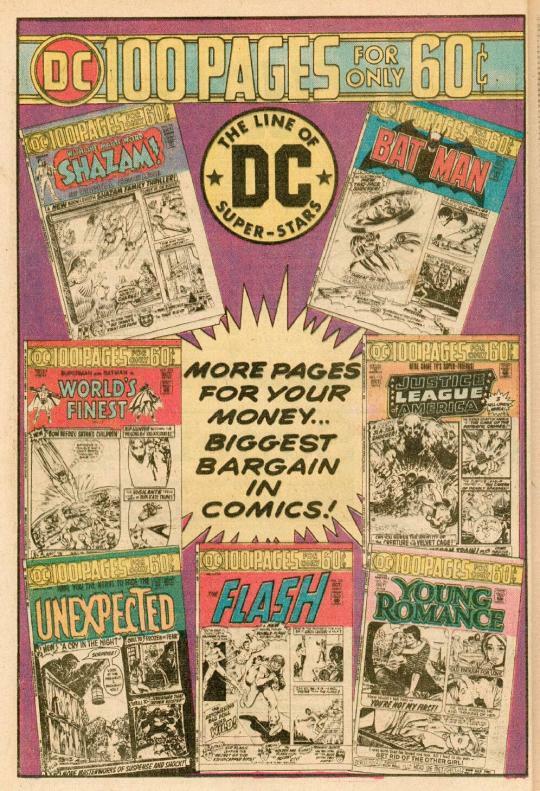 There was also a house ad for the many 100-Page Spectaculars coming this month, which made me salivate. The FLASH issue would cause me some conflict, as I’ll relate soon, and the JUSTICE LEAGUE issue with the Justice Society guest-starring was something I coveted, but would never find in my youth.